Arevo, the Silicon Valley global composite manufacturing company through digitalisation, won the prestigious ‘Startup Booster’ competition at the recently held 2019 JEC World tradefair in Paris. The competition featured 10 finalists selected from 120 applicants from 30 countries representing materials and manufacturing disciplines across the composites sector. The final evaluation round consisted of a ‘5-minute pitch session’ in which the finalists presented their value proposition and expected market impact. Hemant Bheda, co-founder and chairman of Arevo, focused on the company’s market-ready continuous carbon fibre thermoplastic composite parts ranging from bikes to airplanes, said Arevo in a press release. 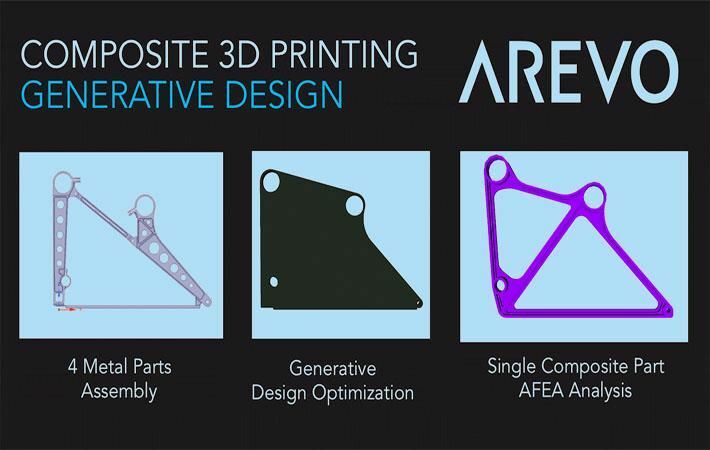 The Arevo pitch covered recent technological and company-proprietary advances in the emerging ‘digital composite manufacturing’ sector, which according to analysts’ estimates is a $1 trillion market. Innovation highlights included: patented software algorithms used in composite generative design techniques; patented free-motion robotics used for fibre direct energy deposition in ‘True 3D’ dimensions; high-speed deposition with an in-situ closed loop control laser process incorporating machine learning and smart data; local, modular, and scalable manufacturing, improving the ‘time to market’ factor in many global industries by eliminating several supply chain bottlenecks inherent in traditional manufacturing; sustainable manufacturing reducing materials by more than 30 per cent and minimising the shipping of parts from overseas; hyper-customisable parts through on-demand manufacturing processes enabling a ‘Design, Print, Go’ customer experience, US advanced manufacturing and domestic job growth bringing economic development to cities along with GDP growth.